When we reach the colder, wetter months of the year it is really important that we make sure our homes are as flood proofed as possible to avoid extensive destruction. Whether it is flood prevention or mitigation of its effects, follow our tops eight tips below on how to prevent flooding from damaging your home and contents. Furthermore, we also recommend you carry out these three autumn home maintenance checks too. When you think of flood protection, the chances are most people will instantly think of sandbags. This is because they can be very effective in stopping flood water entering your home for short periods of time, crucial when flash floods occur. Furthermore, their use prevents all of the silt found in flood water from getting in and damaging your home. Whilst they are the ‘go to’ flood prevention method, they are not always 100% effective, as they often allow water to slowly seep through. Thus, it is recommended that you place large, heavy duty plastic bags in between the sandbags and your property’s walls to reinforce your flood defence. 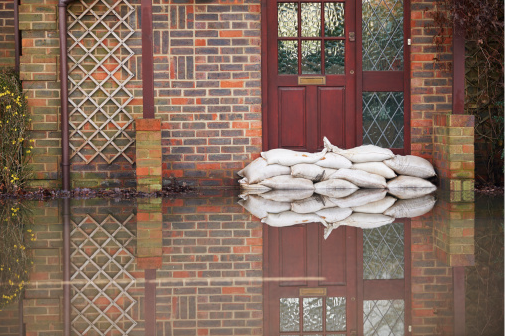 Despite this, sandbags are still a worthwhile way to flood proof your home, particularly when used in conjunction with other preventative measures listed below. 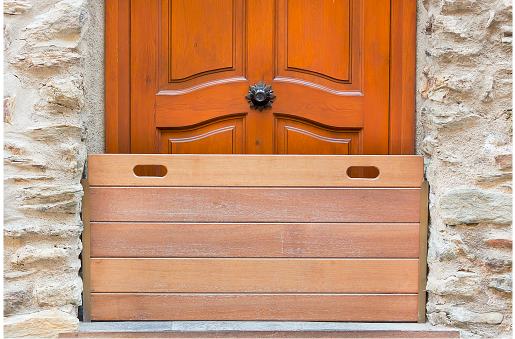 For when the flood is unexpected, for example when sudden summer storms occur, easy-to-fit guards for your windows and doors can be clipped on quickly, helping to stop the flood water from getting in through the gaps. The cost of these protective guards can range from £10 to over £500 in price depending on the level of protection you require, but they are a worthwhile investment. 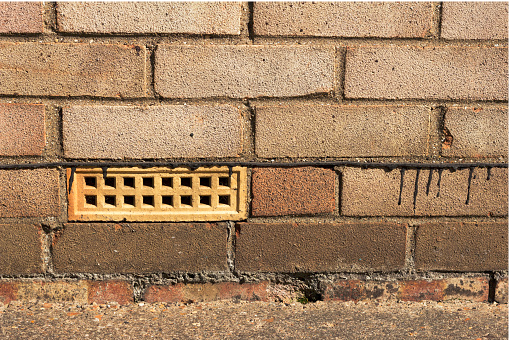 Often these bricks go unnoticed and can be easily forgotten about when you are trying to protect your home from a flood. However, it is vital that any vents may allow water into your property are addressed. 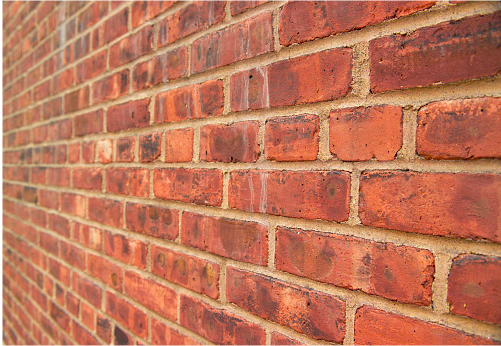 There are a number of options here; you can buy brick covers to stop the water from getting into your home or, alternatively, you can fit a water resistant air brick at a slightly higher cost, but it means you don’t have to remember to cover it every time there is a flood threat. Sometimes during a flood, water gets back up through the pipes and into toilets and sinks causing flooding to affect your home. 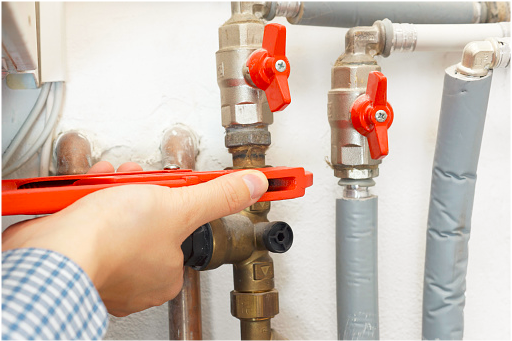 Fitting “non-return” valves to your drainpipes will prevent this from happening and, at less than £500 in cost, it is a good measure if you reside in a flood prone area or a location with a high water table. As water can easily get in through your floors, it is vital that you ensure that any wooden floors are properly sealed as a preventative measure. Another long-term option is to replace your floor with a damp proof concrete and seal around where the floor and walls join. If you are on a flood plain, consider having tiles instead of wooden floors and have rugs instead of carpets which can be easily stored away in case of a flood. To help mitigate the effects of flooding in your property, a quick method is to varnish any existing wooden skirting boards prior to the event happening. 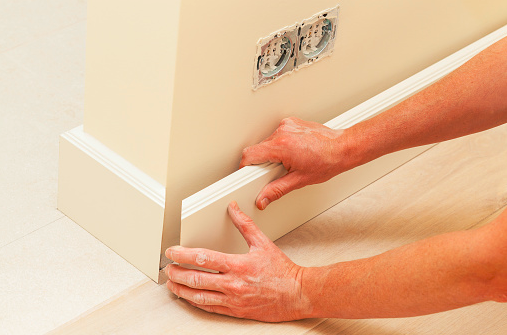 This inexpensive solution is a great way to protect the skirting boards from water if your budget cannot stretch to installing water resistant plastic skirting boards. The plastic option may not look as aesthetically pleasing as their wooden counterparts, but they are less absorbent meaning that if flood water enters your property it is likely to result in less damage to your home. 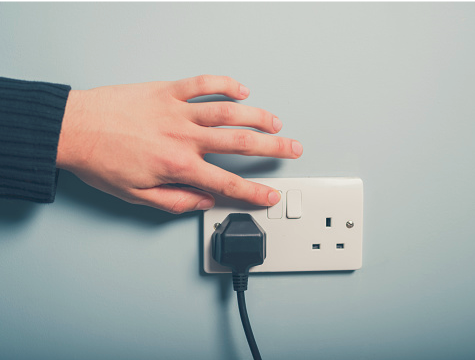 Electrical sockets can be easily damaged by household flooding, so it is beneficial to raise their location on the wall as well. As a precaution, it is advised that they are placed at a height of 1.5m or above. While this is not always a preferred location for them, damage to them may cost more than the outlay of this move (around £1,000-£4,000). Furthermore, protect your household appliances by moving them away from the ground floor. If that is not possible, stand them on plinths where they are located. It is not just ground water that may affect your property during a flood. With heavy and constant rain, damage may arise from flood water seeping through exterior walls too. To remedy this, apply sealant to the exterior walls. This will cost around £500, but damage to exterior walls from flooding may cause internal damp in bricks if they are in a bad condition. This can damage your property’s structure and even your health. When applying the sealant, check the condition of the exterior walls, looking for small gaps and holes, particularly those at a level that could be breached by flood water. We hope these tips have been useful if you are in a situation where a flood may affect or has affected your property. 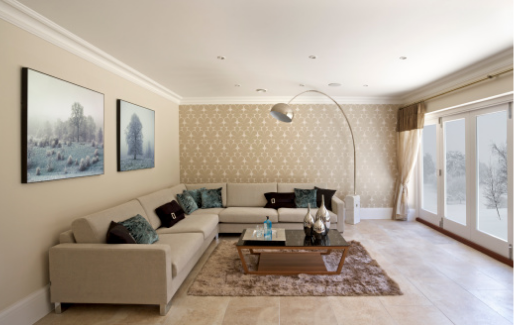 If you wish to move away from a flood-prone area and are struggling to sell your property fast, why not get in touch with us and we can make you an offer in one hour.